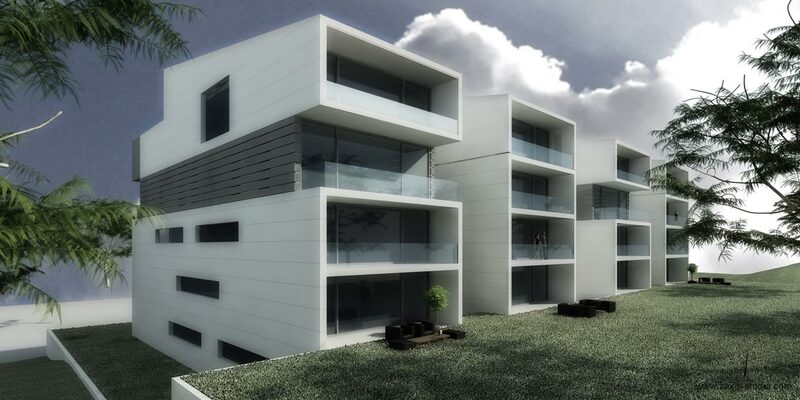 This plot in Kfarhbeb, Lebanon boasts an amazing view of the Jounieh bay. 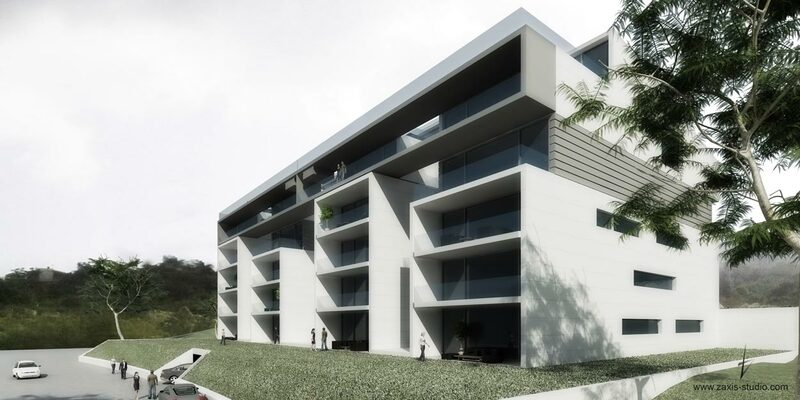 The project consists of 20 apartments: 18 three-bedroom simplexes (255 sqm) and 2 penthouses (740 sqm) with their private swimming pool and Jacuzzi. 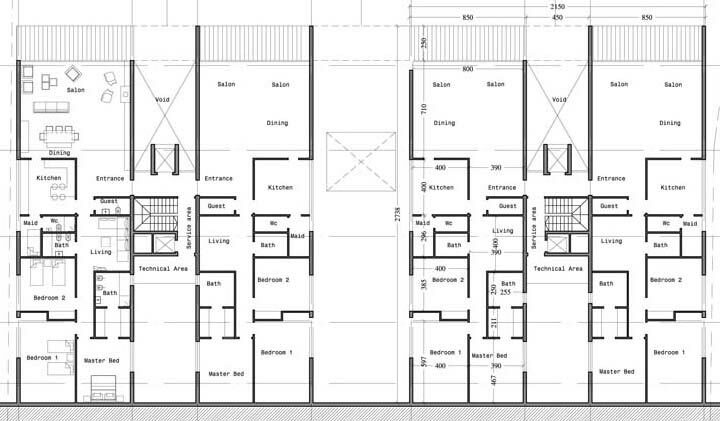 Each apartment benefits from three parking spaces and a storage room. The tenets of the project are high-quality building and innovative layout design. The overall strategy was to minimize the impact of the building on the site while effectively responding to the program and the building regulations. Two separate blocks were created for each building, linked by the common area core. This contributed to optimal daylight entry into the buildings and enhanced natural ventilation. Through a structural frame set on peripheries and the separate blocks, higher flexibility of the internal partitions was allowed. 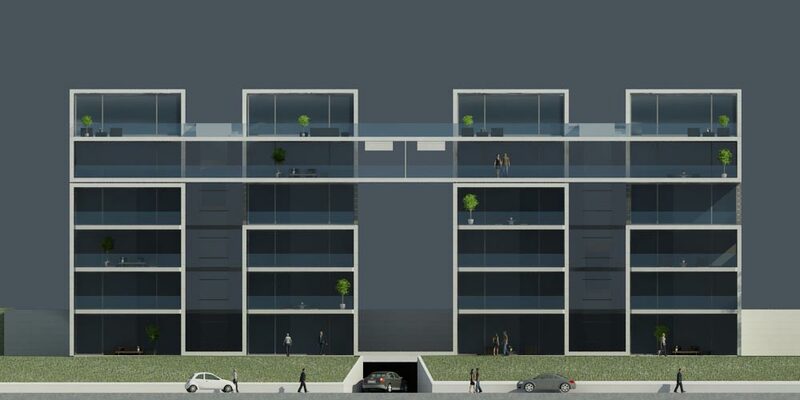 Separating the blocks also minimizes the feeling of housing density for the residents and gives them more privacy. 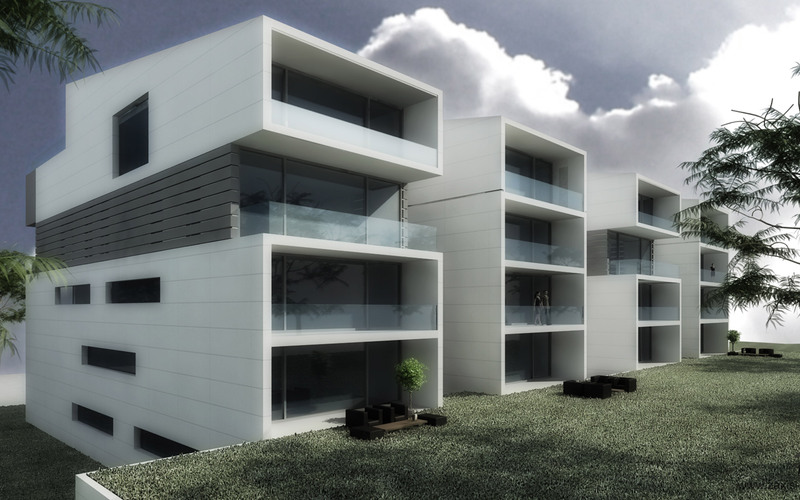 The main façade is animated through the height variations of the four main blocks. 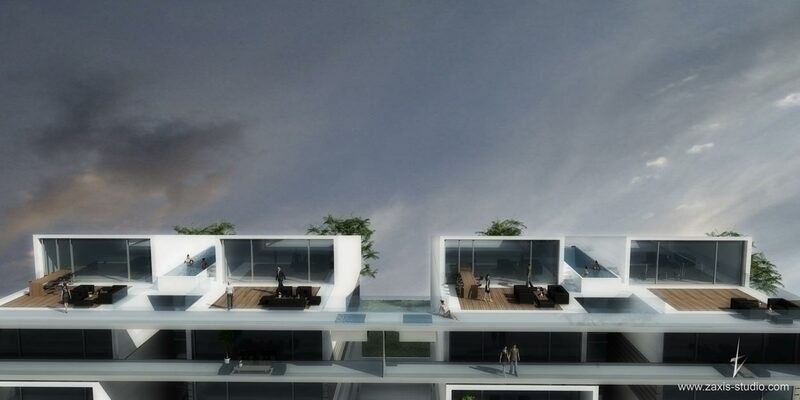 The volumes of the penthouses sit atop the building, their 50m long, framed balcony overlooks Jounieh bay and acts as the connective component of the project. A sober treatment of the façade highlights the architectural design of the project.